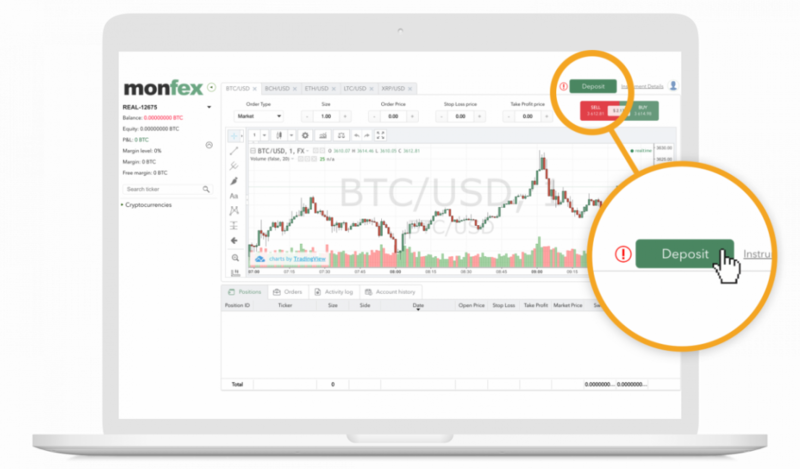 To start trading on Monfex your must fund your account. Funding your account is fast, easy and can be done right on your Monfex web or mobile platform. You can only fund your Monfex account with Bitcoin. The minimum amount to fund with is .001 BTC. If Bitcoin is valued at $4000 then .001 BTC is equal to $4. 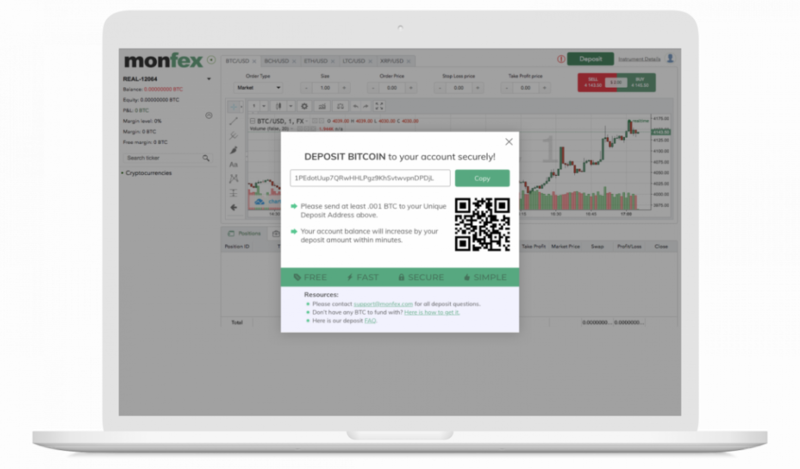 If you don’t already have Bitcoin you need to get it in order to fund your Monfex account. Luckily acquiring Bitcoin is a fast and simple process. Check out our step by step tutorial on how to easily buy Bitcoin. Once you have your Bitcoin in your wallet, you need to deposit it to your unique Monfex deposit address to fund your account. 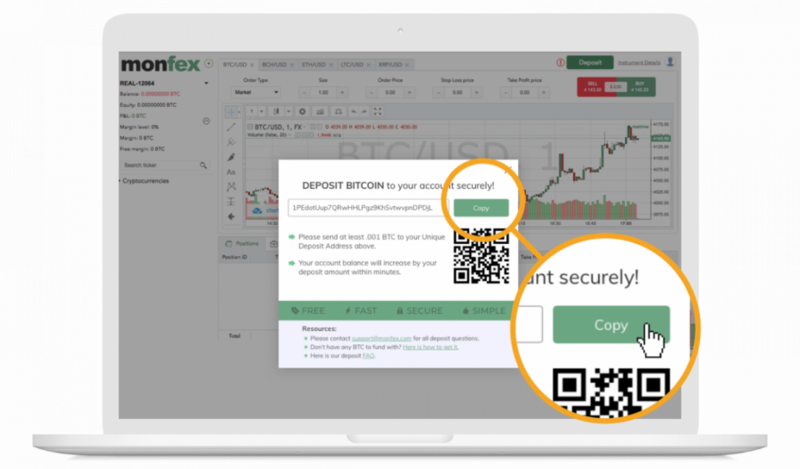 Your unique deposit address is automatically generated when you create your Monfex account. It is a Bitcoin wallet address that is unique only to you. Once you send BTC to this address, it will be credited to your account balance. To find your unique deposit address log into your platform and click the deposit button at the top right-hand corner. Once you click on the deposit Button, you will see your unique deposit address in the deposit box. Copy your unique deposit address by clicking the copy button on the deposit page, or you can scan the QR code in the deposit box with your phone. The QR code is the box of lines that is also unique only to your account. Once you copied the address, you need to open your BTC wallet. 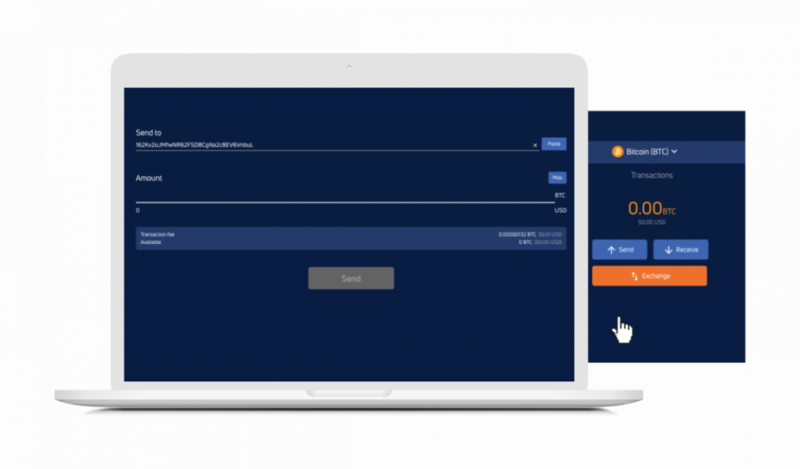 Your BTC wallet will have a SEND or PAY button. Upon clicking one, there will be a field to enter a recipient address. That's where you need to paste your unique deposit address. Double check that the address you paste matches your unique deposit address perfectly. Once you do, proceed to send the BTC in your wallet. Once you click SEND, please allow the Bitcoin network between and our system to process your transaction. This should take no more than 30 minutes. Once the transaction is processed you will see your balance go up by the amount that you funded. We do not charge any deposit fees. The only fee that you may incur is the small transaction fee that may be charged on the Bitcoin network. Your unique deposit address is part of our institutional wallet. This wallet uses extremely high-security measures to protect your money. However, we take it even one step further. Upon receiving your deposit, we automatically move it into cold storage. This means that no one can access the crypto balance that we are holding for you without special hardware. It tremendously mitigates risks of hacking.